Worldwide, atheists make up a very small minority of the population. Altogether, self-described atheists comprise just over 13% of the world’s population. If you also consider people who are "irreligious," meaning people who describe themselves as non-religious but not necessarily atheist, the total population goes up to 23%. Atheism worldwide is affected by numerous factors. Cultural and political influences have the greatest effect on determining how large a country's atheist population will be. Understanding the factors behind the presence of atheism helps to provide a clearer picture of how a nation treats religion. Determining the exact number of atheists in any part of the world is difficult, and all of the data collected on the topic represents only a "best guess" scenario derived by researchers. The only way to identify a person's religion is through polling, and polls have a few notorious weaknesses. First, the questions asked and the way in which religion is presented may have a significant effect on the answers received. 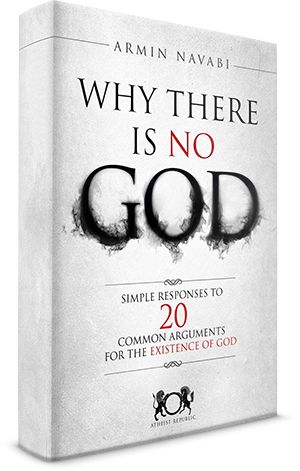 For example, asking someone whether or not he or she is atheist may yield a different result than asking whether or not he or she believes in a god. A social stigma exists around atheism in many places, and individuals may be unlikely to self-identify as atheist even if they hold no particular religious beliefs or believe in any higher powers. Additionally, many people have not spent much time questioning their own religious convictions. Individuals who do not go to church or practice any particular rituals may still consider themselves to be members of the prevailing religion in their community. If pressed to carefully consider their beliefs, quite a few self-described religious people may in fact be irreligious or even atheist. Finally, polls can only represent a portion of the population. Not every person will respond to a census or poll, and conclusions must be extrapolated from a limited amount of data. All of this means that the exact number of atheists around the world may be quite different than what is displayed in the graphic above. Nevertheless, these figures are the best estimates available and do provide a valuable glimpse into the distribution of atheism around the world. Religion traditionally plays a large role in the cultural identity of a nation and its people. Holidays often have religious roots, and important events and celebrations often include religious rituals. This is true internationally regardless of the religion at hand. Over time, many of these religious festivals and events have begun to lose their spiritual components as the population becomes more secular. For example, many people worldwide celebrate Christmas without believing in Christ. Many people also choose to get married and hold funerals in churches without being particularly religious. In some nations, this separation of culture and religion is more prevalent than in others. In general, countries with a long history and rich cultural heritage tend to have an easier time entertaining religious behaviors without subscribing to the accompanying beliefs. Which Countries Have the Highest Number of Atheists? 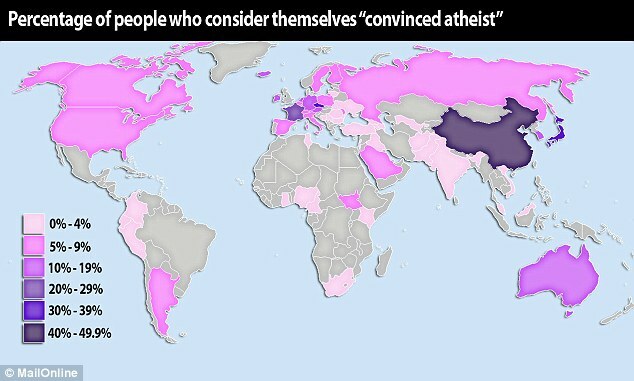 Perhaps surprisingly, the majority of atheists in the world live in East Asia. China, Japan and North Korea all have a high percentage of atheist or irreligious people. The reasons for this are varied. One factor is the influence of communism, which has a positive correlation with atheism. Cultural factors also help to explain the number of atheists in these regions. Belief in spirits or gods lost popularity throughout Asian countries centuries ago, and most affluent or learned people in classical times were primarily irreligious. As the nations reached full literacy, atheism became more common among all classes. Certain religious practices are still observed, but they have more to do with cultural expectations than spiritually significant practices. Examples include holiday celebrations and significant events like weddings or funerals. Outside of Asia, the least religious countries in the world are France, the Czech Republic and Germany. France in particular has been a safe haven for atheists ever since the French revolution. At that time, the aristocracy was closely associated with the Roman Catholic Church, and revolutionaries rejected the religion because of it. In modern times, France has tended to be both secular and politically liberal. Although atheism in America is usually associated with free thought and skepticism among atheists, not all countries follow a similar pattern. In reality, atheism is a complex subject for many nations, and the politics behind the absence of religion are not always positive. Traditionally, the countries with the highest number of atheists are also countries who are either currently communist or were once part of a communist regime. This includes China, North Korea, Germany and the Czech Republic. In these cases, atheism has less to do with religious freedom and questioning one’s own convictions than with threats to the State. Religious beliefs can be threatening to a powerful secular government, as they can divide loyalties and incite revolution. Stamping out religious thought before it can take hold is one way to prevent turmoil within a communist state. The Cultural Revolution in China saw the destruction of thousands of temples and religious relics. Mao Zedong spoke out fervently against both Western religions and traditional Chinese faiths, stating that belief in these religions would hold the country back from modernity. Today's leaders are less fanatical about abolishing religion, but they are also in no hurry to encourage a religious rebirth. In Japan, religion was closely tied to nationalism throughout the Imperial era between 1920 and the end of WWII. 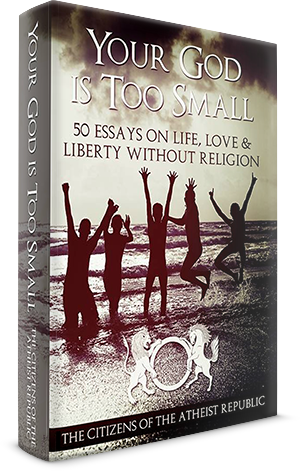 Thanks to lingering associations between religion and the politics of that era, a stigma surrounds many religious practices, which greatly influences the popularity of atheism in the country. In the case of countries whose governments no longer control religious beliefs, the popularity of atheism can be tied to cultural expectations and identity. Once religion stops being an important focal point of a nation's cultural identity, it's unlikely to regain footing. This suggests that countries may slowly shift to secularism as each passing generation of atheists grows.